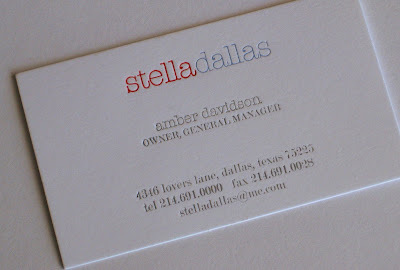 Twenty-six year old Amber Davidson named her store after her grandmother's favorite radio soap, Stella Dallas. She owes her great style to her grandmother, she says, who brought out the House Beautiful magazines at nap time each day for Amber to look at. The name Stella Dallas is both cool and vintage, she says. Just like her store. This 100-year-old barrel chair is one of Amber's favorite purchases for the shop, which opened about three weeks ago on Lovers Lane. 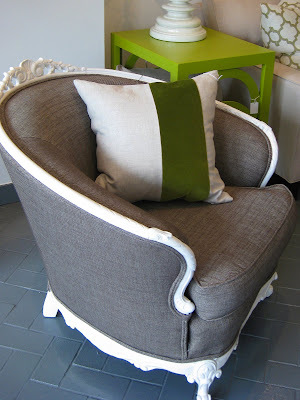 She's got a great upholsterer who lacquers everything high gloss white and recovers them. This chair has eight-way hand-tied coils in the seat and the back. The linen and velvet pillow is one of Amber's own designs. One of Stella Dallas' many parrot lamps. 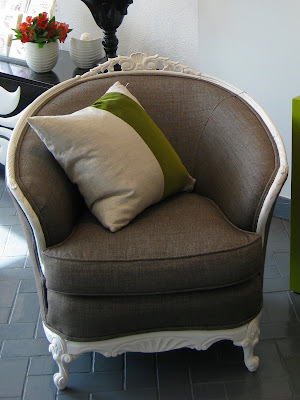 The chair and table are both reinvented vintage pieces. 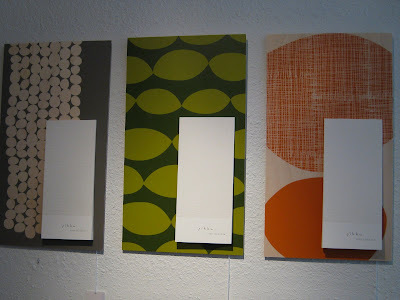 Amber used grays and beiges as background neutrals for upholstery, furniture and the painted floor. 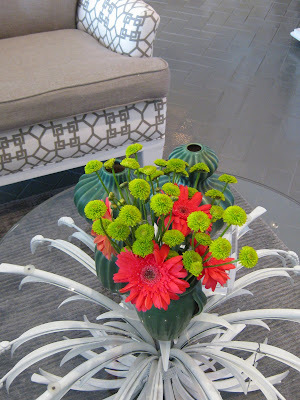 Pops of chartreuse and hot pink liven it all up. 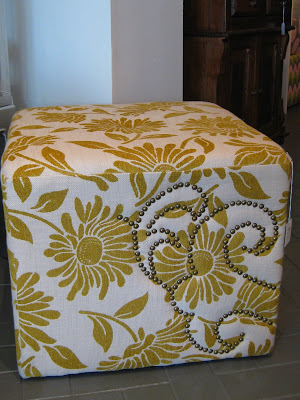 The cube ottoman is new, and matches this new, retro-looking chair below. 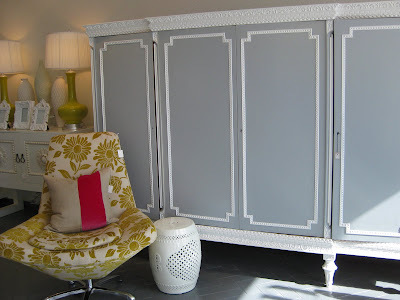 The real show stopper is this French armoire from the 1800s, which was plastered in all kinds of groovy 60s era flowers when Amber came across it. 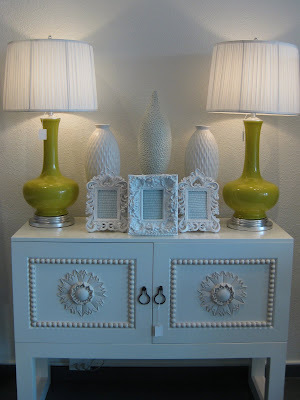 She had it lacquered a gorgeous dove gray and high gloss white. It costs around $4,700. 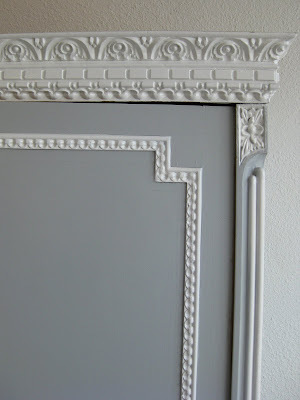 I'm already starting to imagine my apartment done over in this Coco Chanel-esque, gray and white palette. 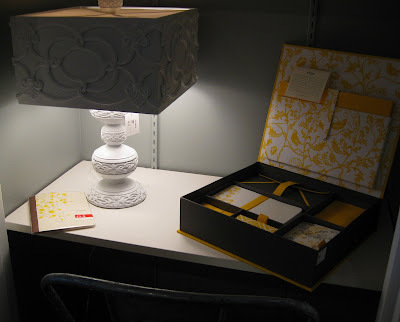 One of Amber's passions is stationery, such as this beautiful gift box full of letter press stationery and envelopes. She also has a ton of fun and stylish letterpress cards. They start at around $2. 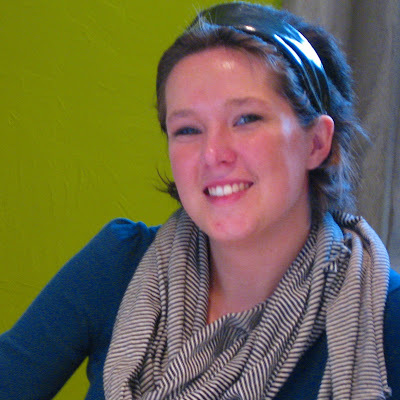 Can you tell that one of Amber's biggest influences is Jonathan Adler? 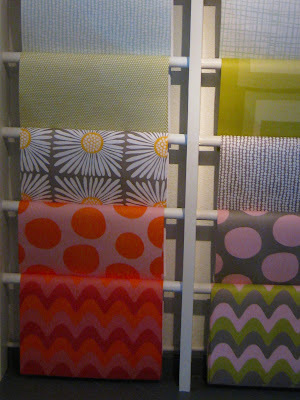 These bright single sheet wrapping papers also have matching cards. Her other biggest influence is Domino magazine. I can definitely see it. 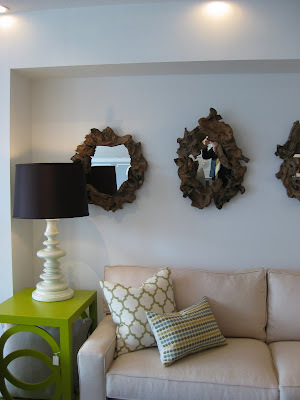 I love these gorgeous driftwood mirrors. 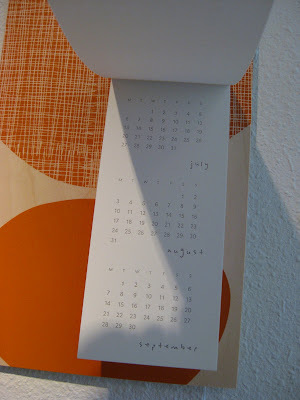 Half of the store is devoted to cool office supplies, such as these colorful wall calendars. Amber Davidson at work in her chartreuse office at the back of the shop.